Need to know which marketing or ad campaign channel is driving the most purchases? FullStory can help. If the links to your site from your marketing or ad campaigns include UTM parameters, FullStory will automatically pull in the UTM campaigns, sources, and mediums so you can understand how your campaigns perform across multiple channels—no special planning or preliminary tracking work required. Omnisearch and Top UTM Searchies are included "out-of-the-box" with all FullStory plans including Free, Pro, and Enterprise. Sweet! First, identify the UTM parameters on your marketing or social media campaign link. Remember: you can always add UTM parameters to any link yourself before sharing that link, and you should write UTM parameters to help you understand how traffic is coming to your website from a specific campaign or channel. Then, I would make sure that the link to my Fruit Shoppe from Instagram includes those extra parameters. That way, I would know that if someone visits that URL on my site with those extra parameters appended to the link that they were sent to my website directly from that campaign and from that specific source. Next, open FullStory Omnisearch and just start typing "utm_campaign=" and the name of your campaign. Right away, you can see how many people had sessions on your site from that campaign. 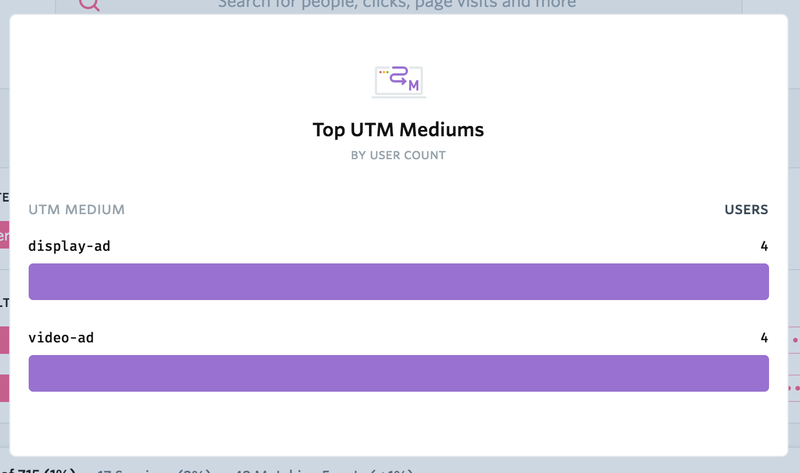 And, if you scroll down, you can look at the Top UTM Sources and Top UTM Mediums results to see which channels and types of content or ads are performing best. Then, to understand whether this traffic actually drove conversions, go back to Omnisearch and start typing the path of the confirmation page that your shoppers visit when they complete a purchase. Adding the additional layer of the conversion event to search will filter the sessions to only those visitors from the campaign who later converted. Note: you can optionally use the "in this order" and "within the same session" drop-downs menus to refine results further to see only the people who converted within the same session. Now that you've built a funnel to understand whether traffic from your campaigns leads to purchase confirmations, you can flip the criteria for Has | Visited URL (path) | is | (your confirmation page) from "Has" to "Has not" in order to see a list of sessions where people visited your site from your campaign and didn't complete a purchase. Watch sessions within each segment - where do drop-offs seem to occur? Look for signals to understand the quality and intent of the campaign traffic - do the visitors seem to be engaging with your site and product pages? Do they seem to bounce right away? Does any of the traffic appear fraudulent? Check to make sure the user experience is optimized - did the page load quickly? Are there any errors or rendering problems? Make note of anything that needs to be improved or that might inform tweaks to your campaign strategy. For example, if you notice that traffic from Instagram converts better than traffic from Facebook, you may need to refine your audiences on Facebook or change your spending there. You can apply this same workflow to understand conversions from any marketing channel where UTM parameters apply, including email campaigns or paid search. 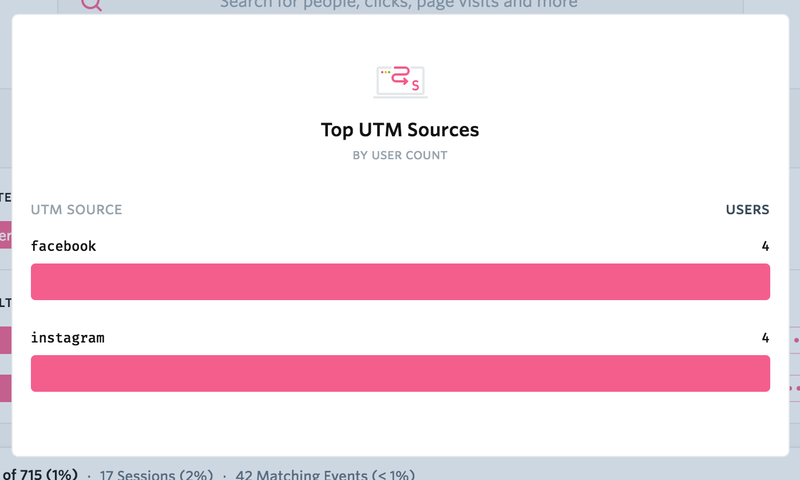 As long as you have UTM parameters on your set links, you can use FullStory to understand the customer experience for visitors coming from those links.